Despite the general rise in social and economical well-being, the overall condition of dental care in children and adults is decreasing. 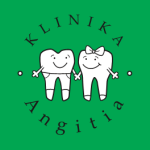 Such is the conclusion that can be drawn from over 20 years of experience in the field of dentistry by our professionals working at „Angitia“ here in Kaunas. Due to inumerable circumstances beyond our own control, you wouldn‘t be able to find a child or a senior citizen who hasn‘t visited a dentist at least once in their lives. The key difference lies in the reason of your dental appointment: have you come to repair damage already caused to your teeth or are you seeking prevention and have come for an annual checkup? In order to better understand the vulnerability of your teeth we offer you to get acquainted with the tooth structure. 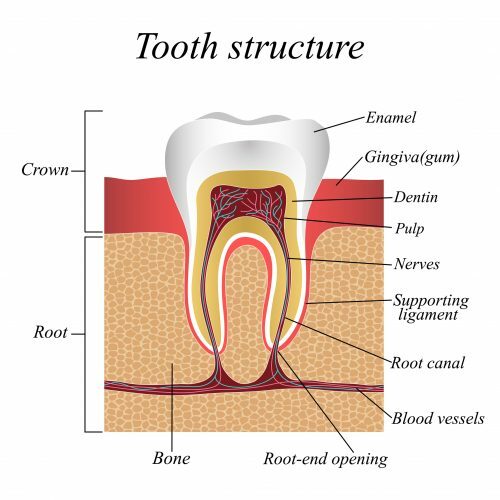 Tooth structure is a complex and composite body made up of homogenuously interwoven soft and hard tissues. Therefore it is important to understand that any affected area of the tooth is subject to harmful bacteria which cause inflammation and can spread to the entire jawbone. A formed abscess is a dangerous infection in its own right as it can easily get into the blood stream and readily damage other body systems, especially the kidneys. 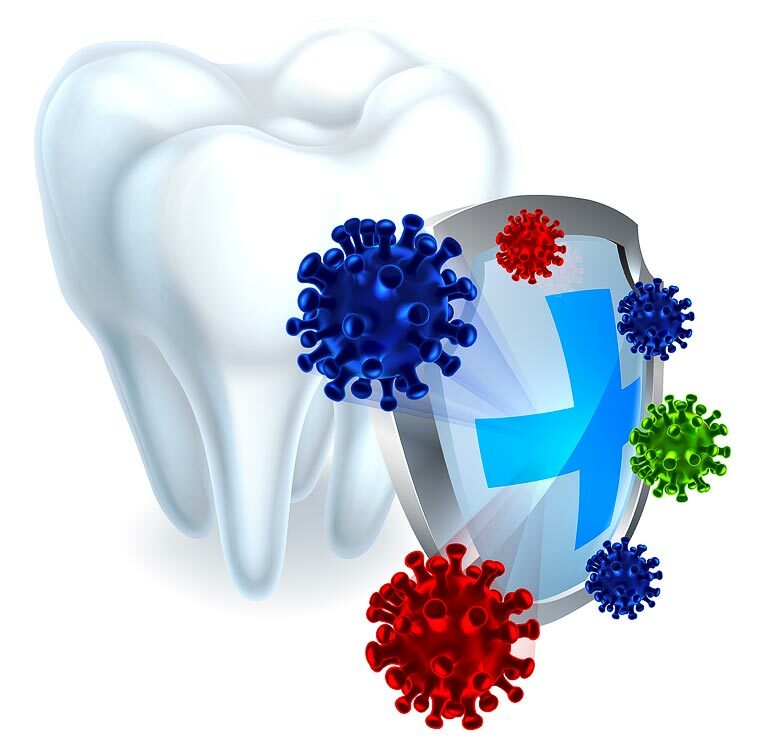 A tooth infection is particularly critical as its place of formation is the region of the brain which is susceptive to infection more than any other organs in the body. A dental checkup and proper oral care are the best way to prevent dental health issues. 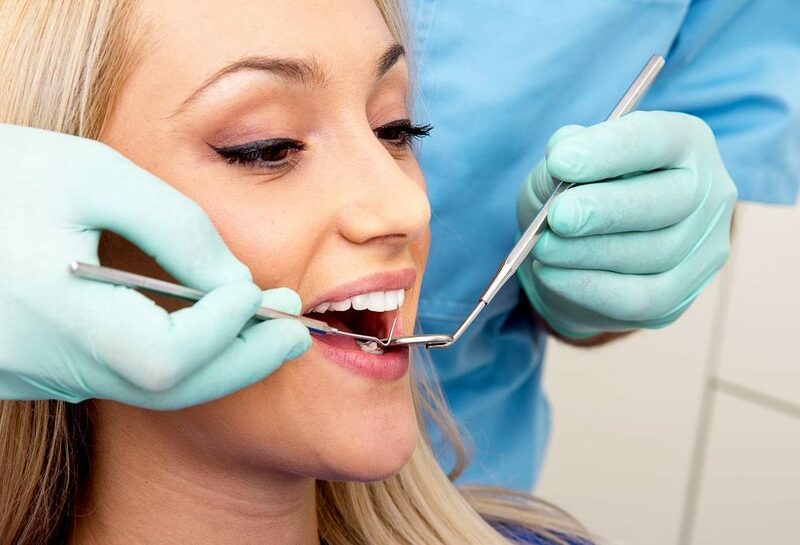 A timely routine dental checkup performed by a dental professional is the easiest, shortest and most cost-effective procedure in dental care, although for a minimum price, but very important in the long-term. Our professionals here at „Angitia“ have observed over the years that patients who are eager to express concern for the slightest change in their dental condition are the ones who preserve their teeth for life or at least until old age. The end result is peace of mind as the patient suffers no issues related to dental caries, gum disease, tartar and other infections.